The first week I started, I knew our Oregon office was going to be an adventure that I wanted to be a part of. Through the course of my first year, I really got to understand who our people are, what they are passionate about and what we excel at. I’ve seen how committed our staff are to the Oregon communities where we work and live. I’m now in my third year with the company, and 2019 is the perfect time to reflect with our team about opportunities, goals and everything the office has done in the past three decades. We’re celebrating 30 years of GeoEngineers in Oregon! That’s a lot of time to reflect on. 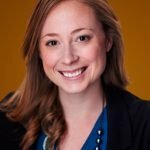 The people who opened the Portland office were passionate about bringing GeoEngineers’ unique people-first brand to the state. GeoEngineers’ second office location, the Portland office was founded in response to our clients’ desire that we have a local team to manage their environmental cleanup projects. We have experienced exciting growth, new markets and large clients; and weathered downturns, a fluid market and changing faces. Despite the challenges, the tenure and passion of our core staff remained strong. When we conducted our business planning at the end of 2018, we had to take a moment to recognize and appreciate our clients, teaming partners and communities and give thanks to our relationships with them that have kept us strong. As we set our sights on the future, our goal is to grow, push ourselves, and support our community by anticipating and advocating for one another and appreciating the successes along the way. As I’ve reflected on the past 30 years, I’ve been struck by the scale of our work in Oregon. Looking at our records, GeoEngineers has completed more than 7,000 geotechnical, environmental and water resource projects in the state! I speak for all our staff when I say thank you to our clients, colleagues and families for their support, and we look forward to the next 30 years and beyond! Roughly, how many projects has GeoEngineers worked on in Oregon? The answer is on this page! Take a look at the slideshow below for just a taste of our ongoing projects in Oregon. The photos are from five important regional projects: Upper Wallowa River Restoration, Tillamook Creamery Visitors Center, Historic Columbia River Highway and Trail, Pepsi Blocks Redevelopment, and the new Salem Police Station. 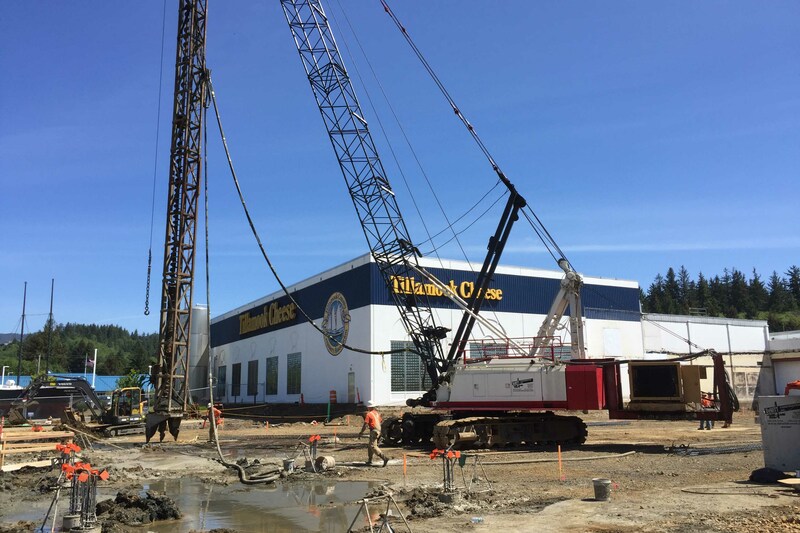 GeoEngineers recommended 14-inch diameter auger-cast piles to support a brand new visitor center at the Tillamook Creamery in Oregon. It was an economical solution that gave the needed structural support, even in predicted seismic conditions. 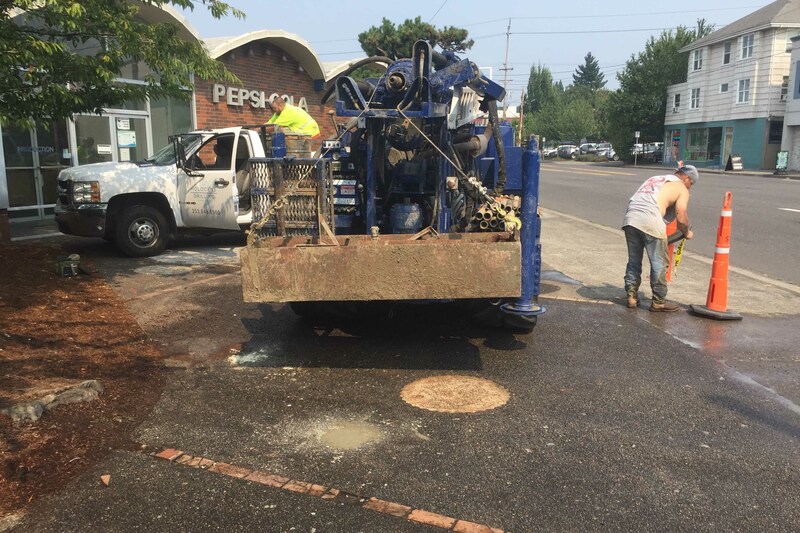 GeoEngineers provided geotechnical support for the redevelopment of Oregon's historic Route 30 as a pedestrian and bicycle trail. 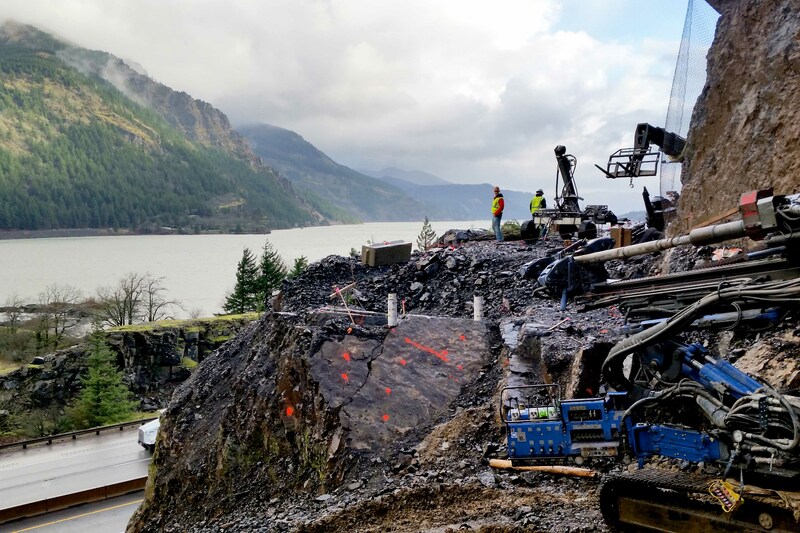 The century-old road wound its way along steep cliffs overlooking the south bank of the Columbia River, and GeoEngineers made recommendations for micropile support of two important bridges along the path. 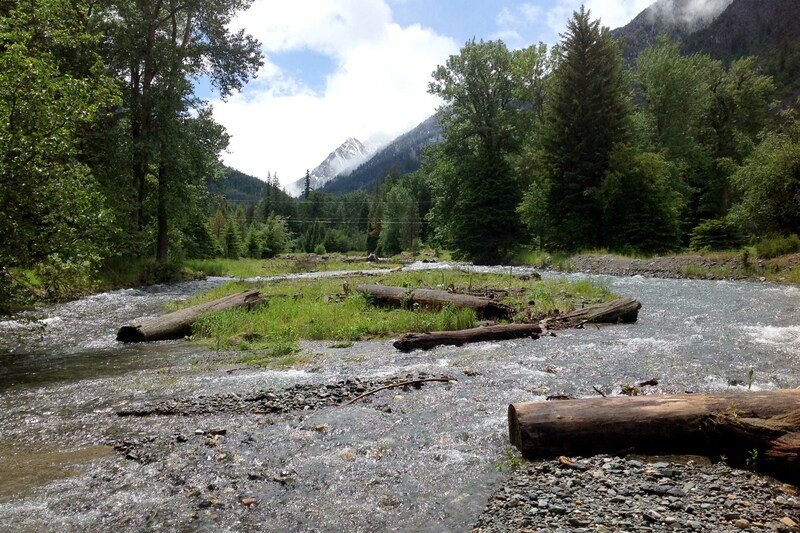 During the Upper Wallowa River Restoration project, GeoEngineers designed improvements in four distinct reaches over 1.5 river miles, ranging from an alluvial fan at the downstream end, to a confined channel with failing banks at the upstream end. The Pepsi site is being redeveloped as part of a 4.67-acre mixed-used project. To kick start the project, GeoEngineers conducted geotechnical engineering due diligence for the site to help explore the feasibility of the massive redevelopment. 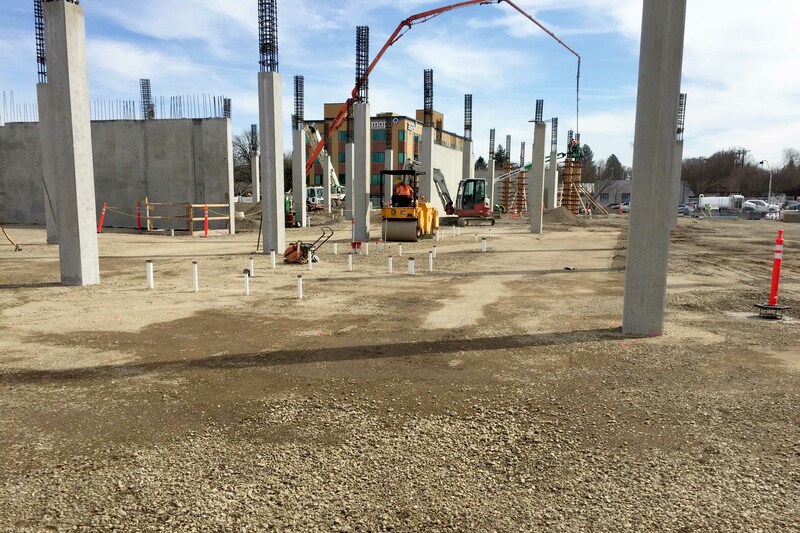 GeoEngineers is providing geotechnical engineering, seismic design and environmental consulting for the development of the new Salem Police Station in downtown Salem, Oregon. Today, we have 31 staff working and living in Oregon. They have dedicated countless hours to projects across the state.